Clergy Confidential: The O Antiphons...deciphered! If you’ve spent any time in church this Advent, you’ve likely sung the popular seasonal hymn “O Come, O Come Emmanuel.” If your parish used it as a processional hymn, as we did on the Third Sunday of Advent this year at St. John’s, you may have noticed that it’s very loooooooong (note the eight O’s that match the eight verses). You may also have noticed that the verses are all assigned a date — beginning with December 17 and ending with December 23rd. So of course it’s long! It’s meant to be sung over a full week! Sort of. You see, this hymn is based upon the so-called “O Antiphons,” an ancient devotion and rich spiritual tradition used during the waning days of Advent. Confused? Fear Not! (as we churchy types like to say this time of year). 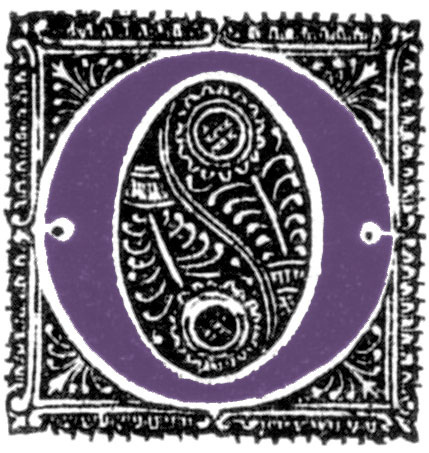 For behold I bring you the key to cracking the O Antiphon code. The O Antiphons have been used as an Advent devotion as early as the 5th century. Benedictine monasteries provide some of the earliest evidence of their usage and by the 8th century they were commonly used in Roman churches. 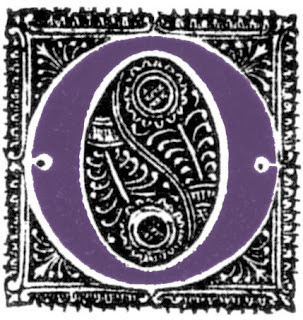 There are seven “O's” (the name simply derives from the start of each antiphon — “O Sapienta, O Adonai, etc) and each one recalls a Scriptural reference to Jesus. that trust thy mighty power to save, and give them victory o'er the grave. O come, thou Key of David, come, and open wide our heavenly make safe the way that leads on high, and close the path to misery. In Anglican usage the O Antiphons are traditionally used before and after the Magnificat at Evening Prayer (sung at Evensong) or as the Alleluia verse before the gospel reading during the appointed days. 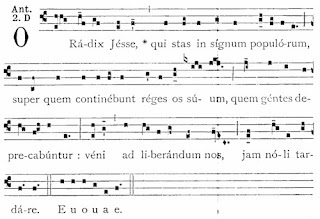 Adding to the intrigue, if you take the first letter of each antiphon starting from the last one, it spells "ERO CRAS" which translates as "Tomorrow, I will be there" -- clearly the theme of "adventus" (coming). Although there's controversy surrounding the Latin translation (a bit of poetic license?) and intentionality (coincidence? ), I like it. For many, the O Antiphons are still used as private devotions and it is in this way that I'd encourage you to engage them over the next week. 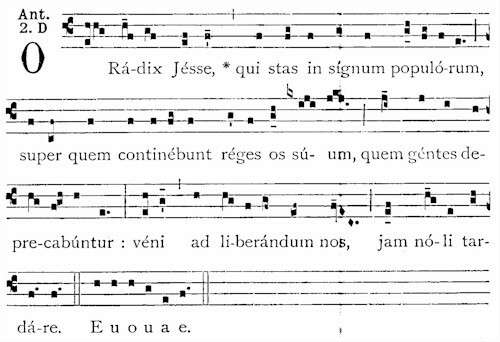 (If you're a Latin enthusiast, you may want to check out New Zealander Bosco Peters' terrific post on the subject on his Liturgy blog, as he includes all the Latin texts, Scriptural references, and a reflection on each one). Anyway, as a devotion, take the corresponding verse in the familiar hymn and reflect on it for a few minutes each day. How do you experience Jesus through the particular verse? What is happening in your own life that might be a parallel? How might you be inspired by the verse as you draw nearer to the Incarnational event on Christmas Day? Then don't forget to end each session with the refrain -- Rejoice! Rejoice! Emmanuel shall come to thee, O Israel! For shame, the truncated Roman version: Mary weeps!